Our office and procedures are designed with your comfort and utmost benefit in mind. We are committed to making your visit enjoyable. 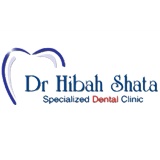 We take pride in offering high quality dental services. Being a hi-tech laser dental clinic, our office is equipped with state of the art equipment to deliver the best in dental treatment to you. In addition, our infection control process follows the most stringent standards for your safety and peace of mind. While you relax in the dental chair, you can enjoy the adjustable back massager, wireless headphones to listen to your favorite music, watch the latest DVDs through the video goggles, or simply enjoy an aromatherapy foot massage by our professional masseuse while snuggling under a warm blanket. Our passion for creating smiles that change lives has helped so many of our patients achieve the smiles of their dreams and benefit from our skill and experience in this field.